Nexus 4 manufacture LG has an event pencilled in for the beginning of August that is expected to be used to showcase some new hardware that will include the LG Optimus G2, which now has some spec possibilities that have appeared via a leak. The company recently sent out press invites to an event in New York on August 7th where it is widely believed we will see the follow on from the LG Optimus G that was released last year. LG has given the world plenty of notice for the event and you have to wonder if they can manage to keep much of the handsets details under wrap until then. 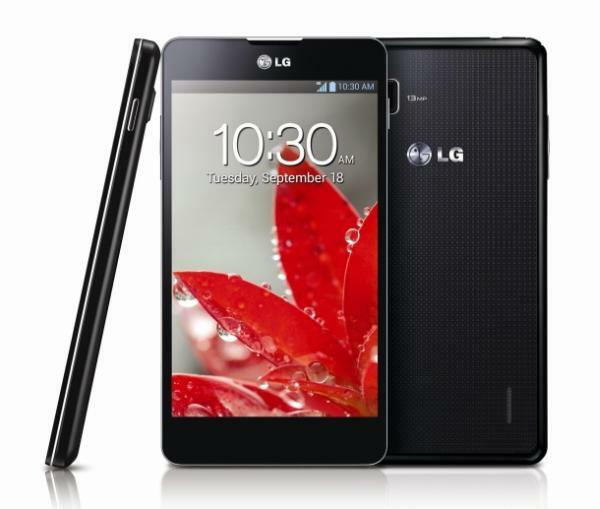 Sources are claiming that the LG Optimus G2 will feature the quad core Qualcomm Snapdragon 800 processor that will be clocked at 2.3GHz along with 2GB of RAM. The handsets alleged display will make many watchers sit up and take notice though as it is claimed the device will feature a 5.5-inch Full HD display, which will be virtually edge to edge with extremely small bezels. Other specs for the handset are claimed to be a 13-meagpixel rear facing camera, Android 4.2.2 Jelly Bean OS, and buttons of the device placed on the back. Obviously there will be onscreen buttons but the handsets edges could be too thin for any physical buttons hence the claim they are on the back. If the claims about the handsets display are accurate that will bring the LG Optimus G2 up against the likes of the Galaxy Note series of smartphones, but if there is virtually no bezel surrounding the display the handset will be easier to hold in the hand. Do you like the sound of the LG Optimus G2? This will be one of the slated monsters of 2013 end of the year. Better than the intended Htc One Max, Sony ZU, Nexus 5, or even the upcoming Galaxy Note 3 it definitely won’t be. Matter the Galaxy Note 3 will be the BEST DEVICE period from October 2013 to July 2014 nothing will top the Note 3.